A design for the wall. Close-knit Waldrops support each other. 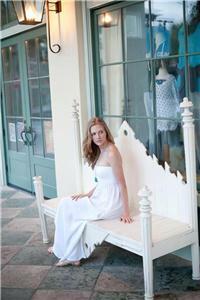 Madison Alyse Waldrop is a 15-year-old fashion designer opening her own business on Broad Street in Chattanooga. 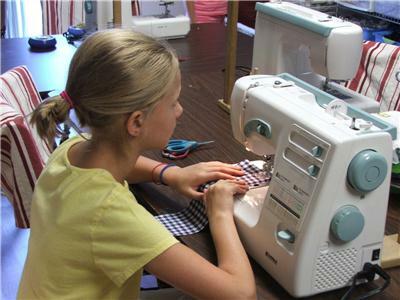 Madison at age eight during sewing class. Madison does her school work through GPS's online program. Madison had a fasion sense about her when she was four years old. Madison prays with her models before a fashion show. New York Makeup artist Ash Orzol applying Madison's makeup for her debut launch runway show last year. Preparing before runway show for Chattanooga Fashion Week. Born in Dalton, Ga., but having been raised in Chattanooga, teen Madison Alyse Waldrop is already making her mark in the world. The typical young person might begin working by babysitting or taking a job in the restaurant and food industry, but Mark and Christine support their daughter’s aspirations in beginning a business that is her actual career in the making. Madison knew early on what she enjoyed doing. “I used to draw on my sister and get her in trouble,” Madison grins. “I think fashion was always there for me. I don’t think I really ever had a ‘click’ moment until we were at the airport and mom saw a design. I started drawing when I was five or six. I had a sketch book and it had a portion dedicated to fashion; it had a lot of these store windows where I would design outfits in them,” she recalls. With Madison and her younger sister McCall having been homeschooled during their elementary years, the young fashion designer was able to ‘design’ her own curriculum. 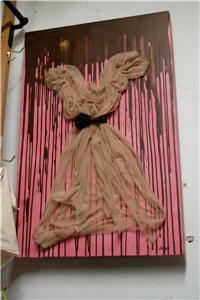 “We took oil-painting classes, sketching classes, sewing classes and all kinds of art classes. It was nice to be homeschooled because we were able to nurture what we wanted to do and we were able to make those choices,” Madison insists. “McCall and I tried art and sports and McCall is definitely more athletic. I was the creative one. I was awful at swimming. It was nice to have that choice to follow what you like. We are so different – we are polar opposites. She also is a talented singer. She sings Etta James songs and all those oldies; she is so amazing,” Madison said. From her sixth grade year, Madison had been attending Girls Preparatory School (GPS) and is now able to continue her education online through their “Distance Learning” program. Two years ago when things really began to fall into place, the now 15-year-old entrepreneur admits that she did not initially plan to begin so young. “I never thought of it necessarily, as starting a business. I was more focused on the creative side and just doing it. I originally thought I could live in New York and go to FIT (Fashion Institute of Technology) and then start my career, but it just hit me that ‘I should do this now’,” Madison declares. Her first fashion sense came about when she was just four years old. Her mother Christine had bought a pair of jeans for her that Madison felt were too boyish. “I hated them and refused to wear them,” Madison laughs. “Mom told me I had to wear them or I would not be able to wear my costume for an upcoming program. The costume was important to me so I had to wear the jeans and I pouted the whole time. I even had to wear them in the mall; it was awful,” Madison groans. Teaching consequences and discipline to their children, Mark and Christine also allowed their daughters the liberty to make certain choices as they got older. “I used to cater to other’s expectations that you had to be good at sports or something else, but when I saw that I was good at fashion and I loved it, I wanted to do it. Mom and dad were so supportive and excited about it,” Madison attests. Standing out is what Malyse is about. With innovative designs and refined detailing, Madison creates with a bold flair. “I had a vision in my head – I wanted a Celtic dancer style for an upcoming St. Patrick’s Day party. I gave the sketch to a lady we knew who sewed and she made that. She was really excited and she has worked with us from there on,” Madison noted. “I have met a lot of other people as well who do sewing for me and I have learned each of their sewing styles. Through that; I learn a lot about creating a product as well. We work together and teach each other things,” Madison insists. Madison searched for someone to create a business logo and she learned about branding and setting yourself apart. She had learned how her vision was to be seen through each part of the business. “Whether it is the business cards or packaging; all of that has to be designs by Malyse – that’s how I came up with the square business cards. I wanted something different but I wanted a clean line and that came about at my first business meeting where I got to use my vision to create what I wanted for the business. I went from there and had my first fabric shopping experience to start creating the designs that I had on paper and to go forward with it. I had never seen that side of fashion before,” Madison acknowledges. “Meeting with the lawyers made it real – you don’t mess around with a bunch a lawyers,” she laughs. With confidence and support to back her up – Madison took her position in the business seriously and her parents carefully gave her the reins, watching their daughter evolve into the young business woman she is becoming. Though Madison is still learning the ropes on the business end; she is focused on her creativity and the joy it brings. Having been to New York previously, Madison had talked to a director of the Wedding Channel’s Couture Show. “She was a designer herself and she gave me a chance. She gave me advice and she told me to follow my gut feeling and to create my own path. I had the idea to create some designs and come back the next year. I have been represented there in about four shows, it’s held twice a year,” Madison says. As Madison’s dreams began to unfold, she knew this was a once in a lifetime opportunity. “It was so surreal to be in the largest newspaper. Here was a guy who was talking to all of these great designers and now he was talking to me too,” she says. 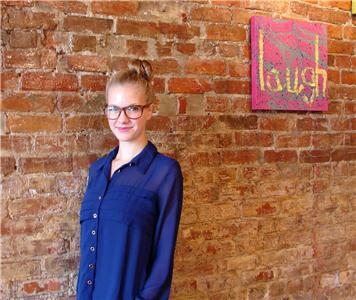 Madison credits her parents for her readiness to begin a business so young. “They have supported me so much and I could not have done this without them. They have prepared me for this since I was a little girl. They didn’t lead me to choose fashion, but to be successful in whatever I did choose. Dad is the business guy – not very creative, business is his forte,” she notes. Madison recalls scenarios her father would present to her and her sister in order to teach them business skills. 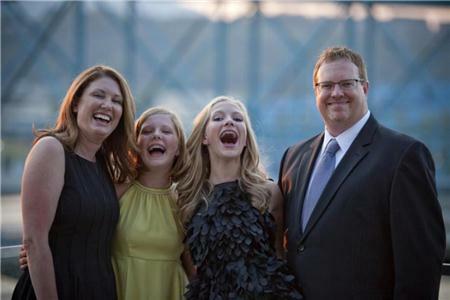 “Mom is very creative, she was helping to plan a gala held at the Chattanoogan and McCall and I helped. We spent the whole day with her; we did our school work and did a little extra so we could plan for this. Our parents always listened to us, our ideas always counted. Even if our ideas didn’t get used in the end – we were always encouraged to voice them,” Madison asserts. “Faith is a huge part of who I am. It definitely defines me as a person. There have been times before where something might not go the way I planned and I strive for perfection, it’s not from other people, I put that on myself. God is always there for me and shows me that if something is not going perfect I ask Him, ‘What am I doing wrong - where do I go from here?’ and I always rely on Him,” Madison states. Irony may have it that New York will one day see a Malyse studio on Manhattan's famed Madison Avenue.